Next week is Thanksgiving, so maybe I should document that Halloween happened? Life is so busy right now. I'm behind on most things, I think. 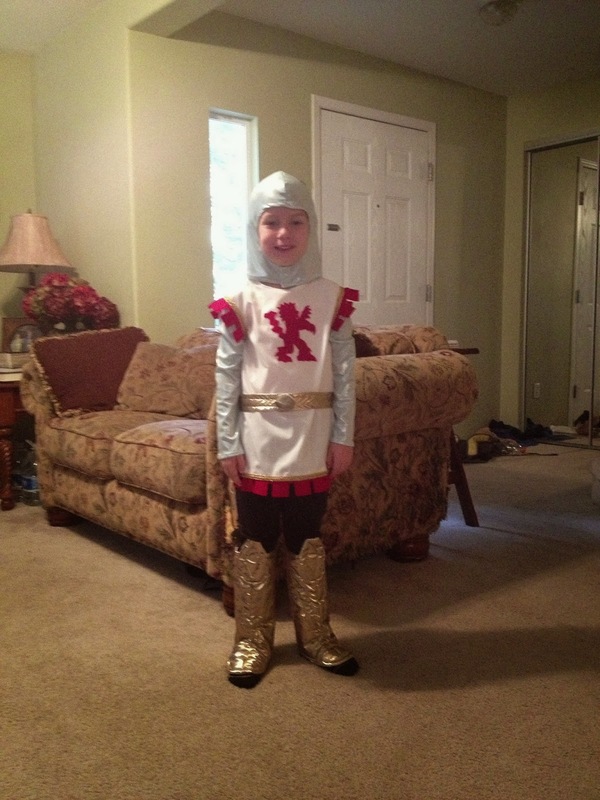 The fact that I was able to make Conor's Halloween costume was nothing short of a miracle. I've had to beg my mom to bail me out of a tight spot and sew for me in years past. This year I knew the date I would be starting my new job, so my goal was to get it done before then, and that worked out. 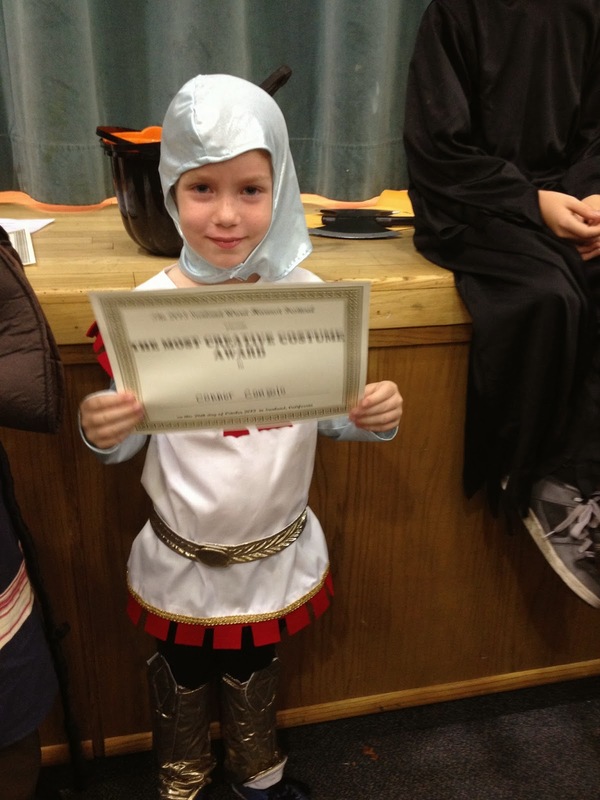 So, Conor was a knight. He was my only one to dress up this year. And he won Most Creative Costume at the ward Halloween party. That's nice validation on all that hard work! I wasn't going to dress up. I usually don't. 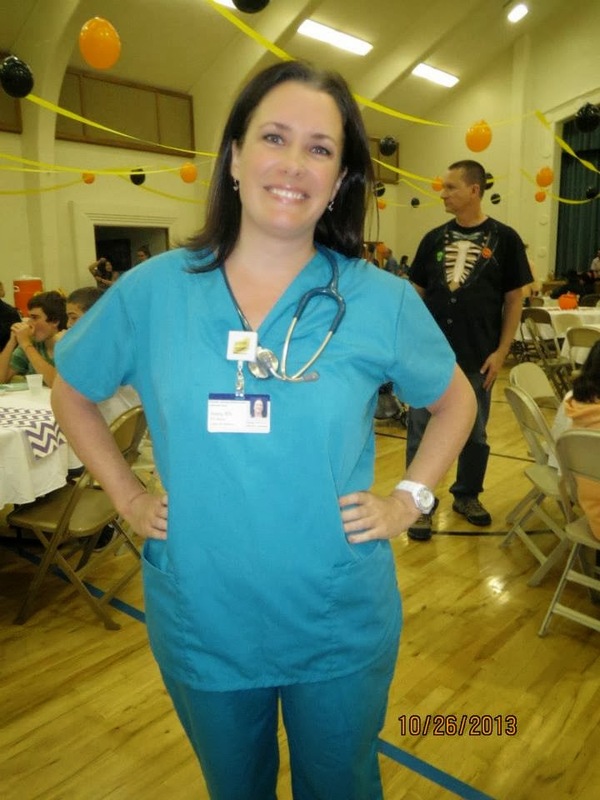 But at the last second, I figured I could throw on a pair of scrubs and go as. . . a NURSE!! Oh well, at least it's something. The ward party was great, even though my chili didn't win in the cook-off. And Conor got to do some Trunk-or-Treating. Aiden was working in the orchard till the very end of the party, so he didn't dress up, and just ran down to the church to grab some dinner. On Halloween night, Adam took Conor Trick-or-Treating, and Aiden and I stayed home. The next day was my first day on the Labor and Delivery unit and I needed to color my hair (gray roots are very visible when one wears a ponytail! ), so I did that, and Aiden and I watched The Sixth Sense together. 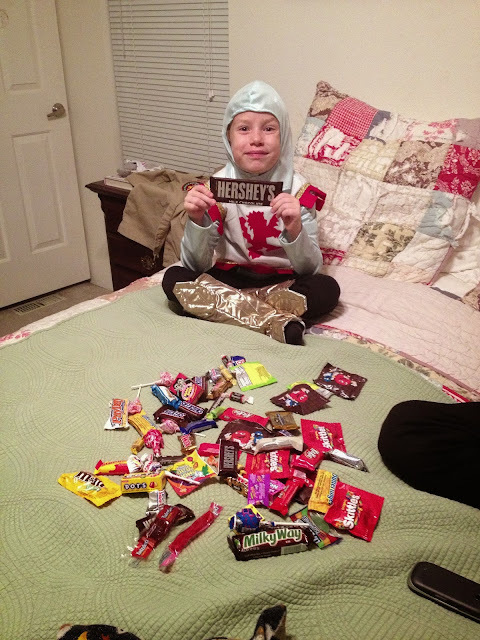 Conor came home after a bit with enough candy to make him feel that his haul had been successful. I had asked Adam not to go crazy with it this year, so he definitely didn't have as much as in years past, and we all shared some and gave the rest away to the soldier candy donation project at school. I am glad that another year of Halloween is behind us, to tell the truth. Every year it seems to come at an inconvenient time, but I know how fun it is for the little guys, so I try my best to make sure they have a happy memory. Now, we can move on to better holidays! That is a great costume! Would love to hear how the new job is going! I hope well.